You are Stars. You are Magic. "COLOR YOUR LIFE WITH STARBUCKS"
Recently, my brother asked me “Which Starbucks Planner do you want me to buy for you?” then he sent the photos of Starbucks Planners here in the Philippines. None of it I like, not because it's not pretty and whatnot, but because I’m a minimalist, and designs that are all over the place is just not my cup of tea. 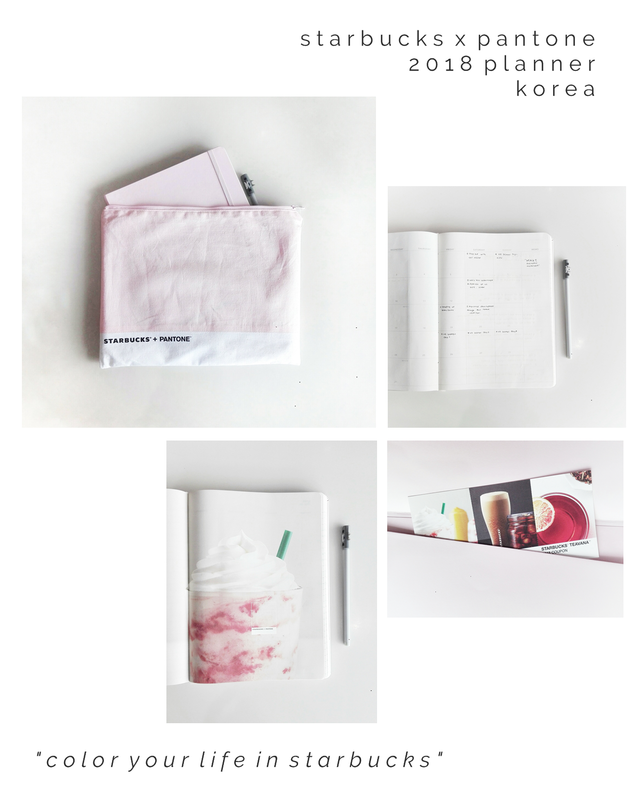 Thankfully, I’ve been eyeing this Starbucks Planner in Korea. I love how minimal and simple it is, plus since it’s from Korea, my “seoul” instantly fell for it. So, my brother bought it for me. Thanks bro! So far, I love it. Although, I’m currently working on designing it and all, I’ll show you guys what I wrote soon. Exterior: Baby pink and white minimal cover with slight leather bound. 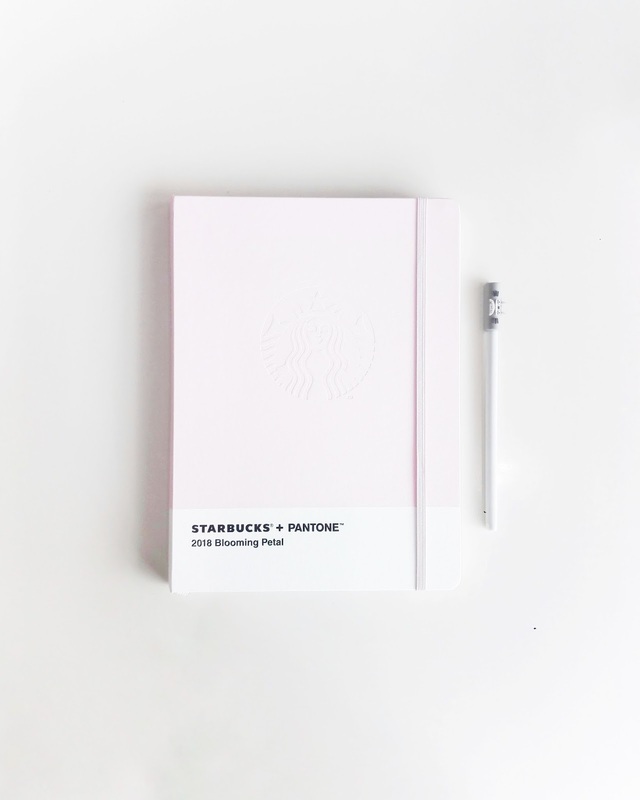 Starbucks’ logo is stamped in the middle and it has a strap to keep your planner flat and unmessy. Plus, it has a good quality planner bag which is a life saver because all of my planners and journals fit it, so I put them all inside so they won’t be laying around the house. Interior: As you open the planner, it has a Starbucks x Pantone quote then at the back of it is 2018 Calendar. Another page for 2018 Wishlist, Yearly Project, then a photo of Starbucks coffee x Pantone as a divider. And yes, National events in Korea is written on the calendar in Hangul, however it isn't a burden because I can read Korean. At least, I now know what their events are. After that is the Monthly Calendar with a side corner space for Memos. At the back of the page is the Weekly Planner then, next page is a lined whole page to gather infos, ideas, or reflections I believe. Then, that repeats every week and every month. The dividers are seasonal, for winter, spring, summer, and fall. At the end are 35 pages divided into two, for bullet journaling and sketches. There’s a filer at the back of the planner and inside it are three coupons for Blended Beverage, Cold Brew, and Teavana in Starbucks Korea. This looks like a such a cute minimalist planner. I love it. You should share it again with how you've decided to use it. I just love seeing how people fill their planners! I totally agree. Yes, I definitely will do that on February. Thanks for dropping by, Kanra. They actually do. Every country has different styles too. Yayy! You should buy now before they sell out. Thanks for dropping by, Steph. That's really pretty! I had no idea such a collaboration existed. I know, I'm glad they did, 'cause they came out with such pretty planners. Thanks for dropping by, Anna. I looove notebooks haha - I have way too many! This is such a beautiful design - I love that it has a calendar at the back too! Me too! But I usually just pick out what I need, and I make sure I love them so I won't get bore of them, haha. Thanks for dropping by, Fab. I love minimal and pretty planners like this, so cute! Thanks for dropping by, Shann. Looks so pretty! Can't wait to see your weekly spreads with this planner. I know right. Yayy! Can't wait to share it though. Thanks for dropping by, Da. 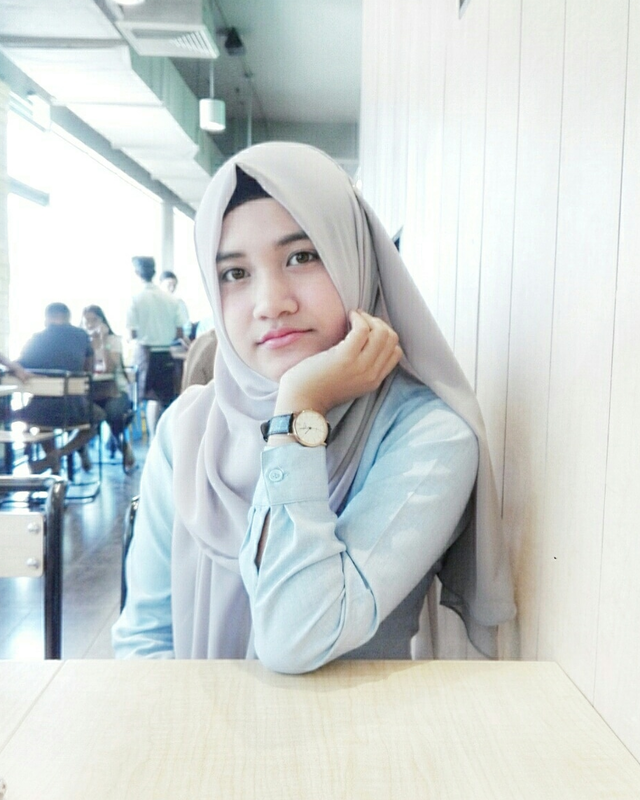 Thanks for dropping by, Amita. Oooh such a pretty colour!! Thanks for dropping by, Gemma. Can you use the coupons here in the PH? No, dear. I was planning to give it away to anyone who lives in Korea but unfortunately I don't know anyone from there. 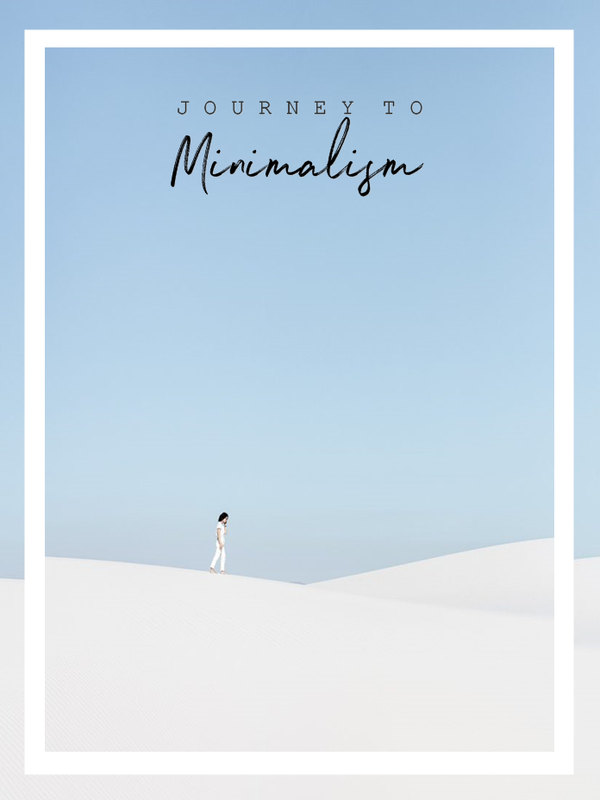 A believer of "Less is more"
Here you will find all things motivation, minimalism, mindfulness, and modesty.